The origins of KAROUN DAIRIES date back to the Great Depression. The 18 years old Ohannes Baghdassarian, sole survivor of four brothers from the Armenian Genocide, saved his extended family members from extermination and settled in Aleppo (Syria) where he began his career as a money changer. He then moved to Beirut (Lebanon) where he acquired a seat in the Bourse of Beirut. Ohannes had a successful business till the Great Depression hit all countries around the globe. A great fan of dairy products, Ohannes rarely found in Beirut good quality dairy products. Encouraged by his client villagers, Ohannes Baghdassarian established Cremerie Karoun in 1931, named later Laiterie Karoun. He appropriately chose as the company's name and trademark the Armenian word for springtime. KAROUN became a pioneer in the Middle Eastern dairy industry. Initially a small-scale manual operation, the dairy steadily improved its production methods by applying up to date science & technology to provide highest quality dairy products. After world war two KAROUN invented a new process to produce hygienically and industrially the very popular product in the Middle-East: drinking yogurt. In 1952, KAROUN DAIRY introduced pasteurization and began to home deliver fresh pasteurized milk in glass bottles in addition to distributing its other dairy products - all natural yogurt containing live cultures, plain yogurt with active cultures, laban, labne, soft cheese, drinking yogurt, whip cream, different types cheese, butter and dairy foods to hotels and restaurants in Beirut, and some retail stores in its neighborhood. KAROUN owned also its retail store in the central district of Beirut specialized in its dairy products, dairy foods and some other related products. In 1963 the distribution system was entirely reorganized to cover the totality of Lebanon: its fleet of delivery vans distributed KAROUN dairy products and different types cheese exclusively to retailers, hotels and restaurants. KAROUN Dairy was the first to introduce in Lebanon the one-way plastic containers in 1968 replacing the returnable glass bottles of fresh milk and drinking laban. It was also a pioneer in introducing the round plastic cups replacing the jars of clay of all natural yogurt containing live cultures. The same year KAROUN DAIRY began to market for the first time in Lebanon all natural yogurt with real fruits containing live active cultures under the brand "YOFRUIT". 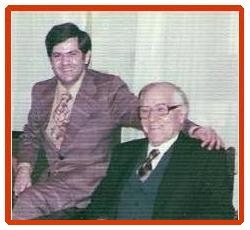 In 1971, Ara Baghdassarian the owner's son who was grown in the family business took over marketing and administration. As demand for KAROUN'S products continued to exceed output despite several increases in capacity, it was decided to undertake yet another expansion: to transform the firm into a corporation and erect a new plant. Thus Ara Baghdassarian, Alice and Khatchik Khatchadourian founded KAROUN DAIRIES SAL.